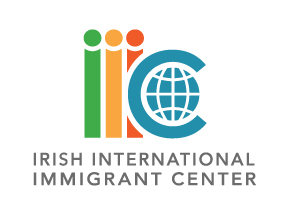 As Sister Lena Deevy steps down after 24 years of leadership of the IIIC, the Irish International Immigrant Center invites all friends, former staff and volunteers to celebrate the invaluable contribution that she has made to the immigrant community in the Greater Boston area. On the evening of Friday, May 3rd, a party will be held at Florian Hall in Dorchester to mark the occasion of Sr. Lena’s transition. Since the Center’s inception in 1989, she has worked tirelessly to better the lives of immigrants from Ireland and from across the world. The celebration will begin at 6 pm, with a chance for guests to meet and mingle. Appetizers will be served and there will be a full cash bar. The band Erin’s Melody will provide music throughout the evening. Irish Tenor Ciaran Nagle will also make a special appearance with Tara Novak and treat the crowd to a short performance. Tickets for the party can be purchased at www.iiicenter.eventbrite.com or by contacting the IIIC directly. Call Evelyn Brito at 617-542-7654 for more information. A minimum $25 donation is suggested and anything more that is greatly appreciated. All proceeds from the evening will support the center's Comprehensive Immigration Reform Legacy Fund which will enable the center to provide critical immigration legal services.